Left: A kipper is a fish which has been split from tail to head, eviscerated, salted, and smoked. This species is a herring. 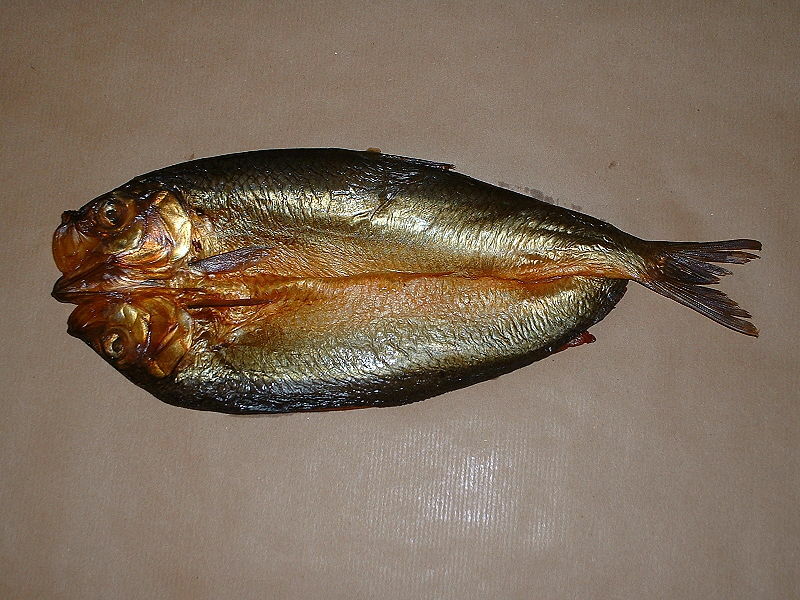 "Cold smoked" fish, that have not been salted for preservation, need to be cooked before being eaten safely (they can be boiled, fried, grilled, jugged or roasted, for instance). In the United Kingdom and North America they are often eaten grilled for breakfast. In the UK, kippers, along with other preserved fish such as the bloater and buckling, were also once commonly enjoyed as a high tea or supper treat; most popularly with inland and urban working-class populations before World War II. 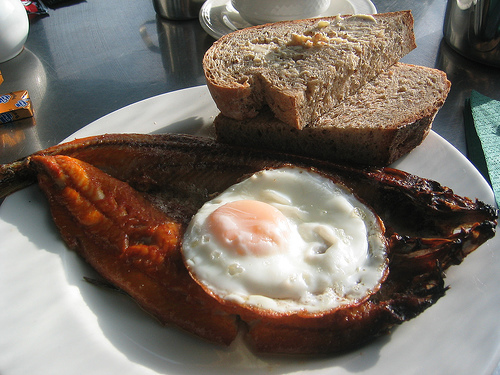 In the United Kingdom, kippers are served for breakfast, tea or dinner. In the United States, where kippers are less commonly eaten than in the UK, they are almost always sold as either canned "kipper snacks" or in jars found in the refrigerated foods section. Left: Kippers for breakfast in England. Kippers are extremely popular in the Isle of Man. Thousands are produced annually in the town of Peel, where two kipper houses, Moore's Kipper Yard and Devereau and Son, smoke and export herring. A kipper meal is known as spuds and herrin in the Isle of Man, where kippers are usually served with potatoes and buttered bread.